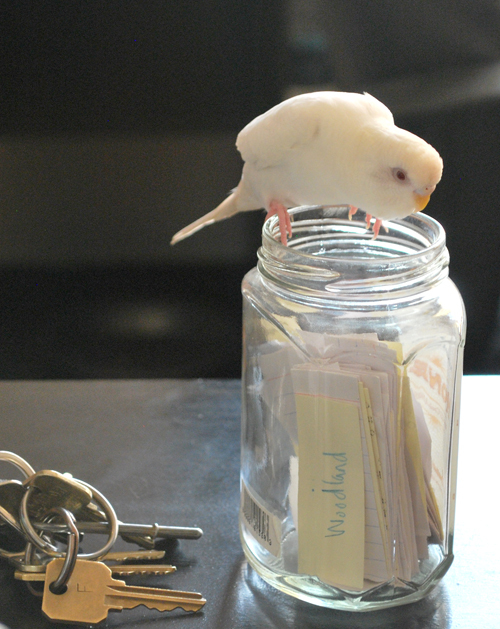 paperbicycle: Studio : A New Bird Friend! Let me introduce you to our new friend! 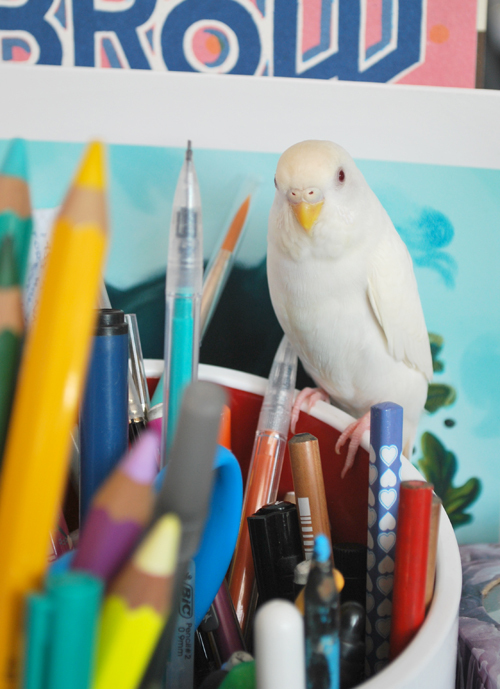 We just got a studio bird and we are SO excited!! He's only been with us for a couple days, but he's fitting right in! I've had a heck of a time naming him, and so far the names I've given him have only stuck for about 45 minutes. Most times I just call him "Small", or "Tiny". 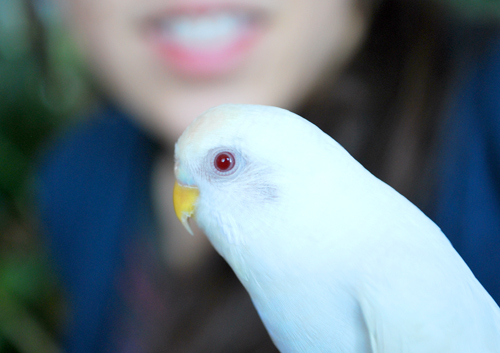 He's just a baby still, only 12 weeks old -- and he's an albino parakeet! It's so fun having a little guy here that can be out of that big cage. Already he's making the rounds, helping out, choosing topics for Daily Pattern, and giving much needed critiques. I was wondering if you had any good names for my friend? I'm on the verge of naming him "Peety". I hope I can find him a name soon! Well, he's albino (and also very cute, btw), so how about Albie?